In a thick bottomed pan, add 4 cups of water. Boil it with salt. 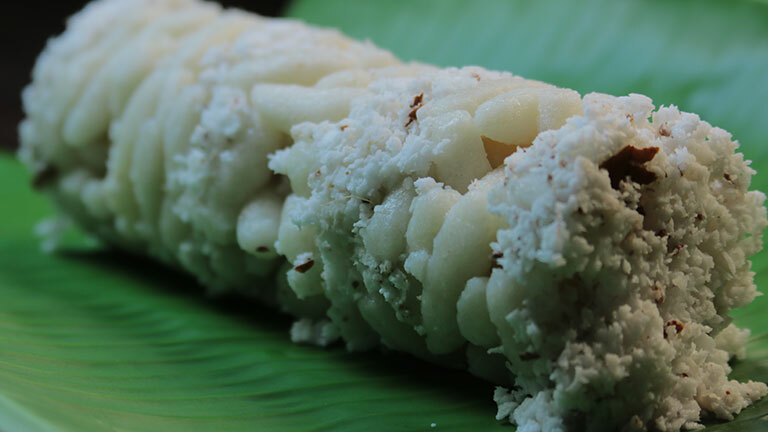 Add rice powder and mix it to make soft dough like that of idiyappam. Make small balls of it. In the puttu pot, as usual fill the grated coconut and the already made balls (layer them alternately) and steam it. The side dish for this is coconut milk and sugar.